Say hello...you are in hell! Last edited by Max Rockatansky on 20 Sep 2017 18:14, edited 2 times in total. Looks fantastic! Any profile of the climb on the circuit in the RR? Excellent. Finally a parcours i'm happy with. The time trials are great, too. Hugo Koblet wrote: Looks fantastic! Any profile of the climb on the circuit in the RR? Climbing 3 km @ 11% after over 250 kilometers will be insane. Raffaele Filippetti is saying that La Flamme Rouge stole the merits, blocked him and the blog. I go back to the fear I have already expressed. Gramartboden is an incredibly hard climb, a true and proper murito. 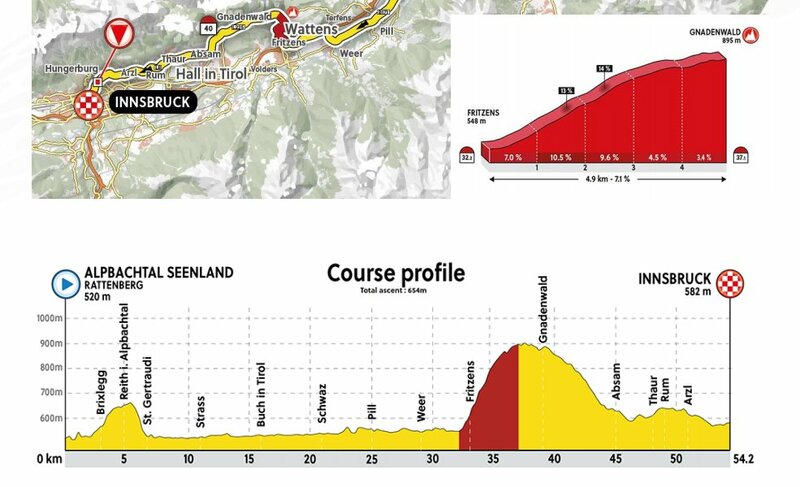 It's unlikely we'll get many attack before it; I mean, sure, those 3km will be an attritional spectacle, but I reckon it'll be like a Xorret del Cati finish, just after a lot of climbing and kilometres. The only real hope I have of it not being 15-30 riders slogging it up 15% gradients is the little flat between the two climbs, but attacking from a largish group on Igls would be tricky considering it's shallow. An attack on the downhill is possible, though. 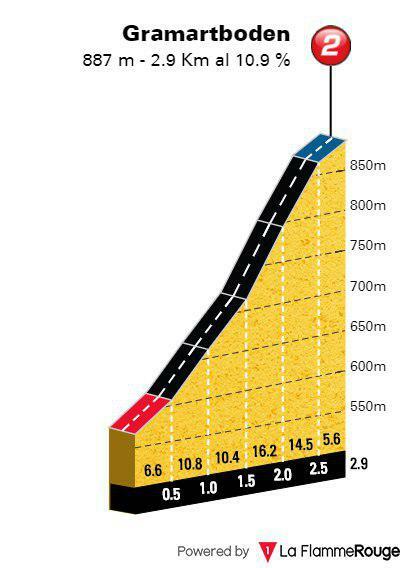 Reverse the order of the two climbs and it would be much better I reckon. But maybe I'm just pessimistic. Last edited by StephenC2020 on 20 Sep 2017 18:27, edited 1 time in total. The lap with Gramart and Igls should have been the 3rd last lap and penultimate lap in my opinion, with only Igls on last lap. Brullnux wrote: I go back to the fear I have already expressed. Gramartboden is an incredibly hard climb, a true and proper murito. It's unlikely we'll get many attack before it; I mean, sure, those 3km will be an attritional spectacle, but I reckon it'll be like a Xorret del Cati finish, just after a lot of climbing and kilometres. The only real hope I have of it not being 15-30 riders slogging it up 15% gradients is the little flat between the two climbs, but attacking from a largish group on Igls would be tricky considering it's shallow. An attack on the downhill is possible, though. 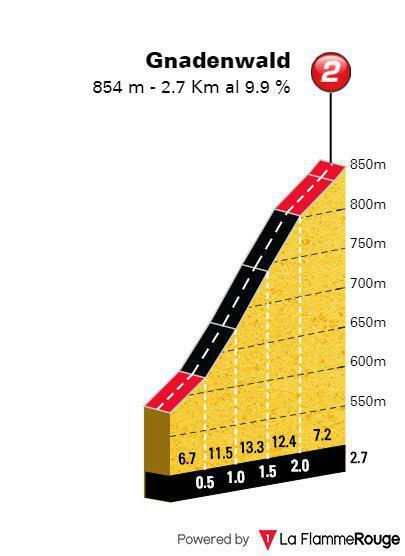 Reverse the order of the two climbs and it would be much better I reckon. Do you mean attack downhill from Igls? As far as I remember it's not that difficult. I would say the side used as a climb would have been a more difficult downhill. Watch Froome winning TdF, WC ITT and WC RR in the same year. I haven't seen the route map closely, I was going purely from profiles. 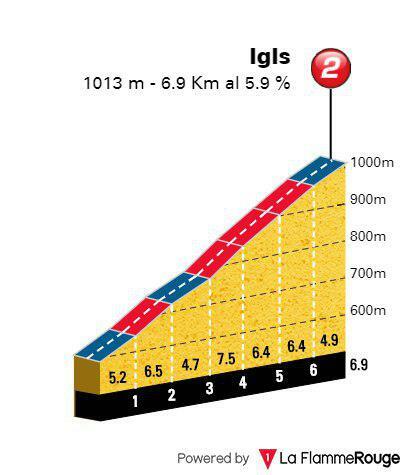 It would be hard to attack on the climb itself as it there are a couple of domestiques, he'll be kept within 15 seconds and eaten up on the final climb. I just wish the climb to Gramartboden would be included in one of the earlier laps as well. Since it's the final climb I'm afraid everyone will wait for it and there won't be any early moves. That said with so many hard climbs I just hope that the bunch will be reduced early on and therefore the real racing will already start early. So I'm not 100% certain if I like the RR parcours but still without a doubt, the routes for the TT's are great. TTT with a relatively hard climb which will be even more crucial than the climb in this years race, and the ITT is just exactly like it should be. Over 50 km, mostly flat, but a real legbreaker in the middle which will make the race less predictable and more open. Don't you think we* should get these World Championships done before we start talking about the next? *"We", she says, as if she has anything to do with it. Colombia should be scary good on this route. France too. Have these courses become official today? Otherwise there isn't much news to this, is there? The final climb is too hard and too close to the finish, I think. Bala to finally become world champion. tobydawq wrote: Have these courses become official today? Otherwise there isn't much news to this, is there? Yes, the presentation was today. The funny thing is, I think almost a year ago someone claimed to know the course and posted it online. Then after a few days the organizers explained that the person who posted that only made a route himself and that it didn't have anything to do with the official one. Well, turns out the person was spot on and actually we have already seen the parcours one year ago. We even already knew that there would be two different laps and that only for the last one there would be an additional climb. If you search a bit you can even find the discussion on this forum about a route we are now, one year later, discussing again. Edit: Just looked it up and actually it was never confirmed thats not the real route, don't know why I thought that. It seems like this route was the official proposal but the UCI still had to accept it. Anyway, that doesn't change the fact that this route was actually already discussed here in January this year. Ofc Brullnux was the first one to complain about that route back then as well. Last edited by Gigs_98 on 20 Sep 2017 18:51, edited 1 time in total. In principle it is a proper super hard route, can't complain about that. However, I also fear that they will wait for the last climb. I think the route would have been better without the final murito or if they put the murito earlier in the route. We'll see though. If the riders actually use their brain for a change when deciding on their tactics they'll realize only a few specialists will be able to compete if they wait for the final murito so for a lot of riders it will be better to try and force a strong break and an open race earlier; the terrain is certainly there to do so. This race really doesn't have to be a glorified murito sprint, but I fear it will be due to tactical ineptitude of the riders. Besides Valverde (assuming el imbatido won't be beaten by age either) Dan Martin etc. nobody has any business waiting for the final climb.